Imagine that you have launched your new product or service. You have set up your production and sales, even have employed a few more people. Profits from your advertising are getting bigger. Everything seems to grow and improve. What happens once you see a comment that wants to destroy your brand image? You have to deal with it. This article will explain how to deal with rude customers and comments in online support. Who is a Rude Customer? When it comes to rude comments or dissatisfactions, you need to detect their reason. Not all customers want to insult you. Some of them might have a bad experience with your product. That is one more reason why it is important to have happy customers, not rude ones. On the one hand, an unhappy customer who received product or service with the low quality of good and services is showing his opinion. His dissatisfaction can come from a wrong installing or misunderstanding of product. Before you answer, providing the right information so there are no fake expectations. Good thing is that he is willing to have healthy communication and let you explain. On the other hand, an rude customer is someone who expresses your grievances despite your welcoming manner. There are people who resort to verbal abuse or offensive language. They can also use threatening words or behavior. When you have to create an image of your brand, it can be difficult to respond to a situation like this. How to Void Rude Customers? As everything else, dealing with customers relate with better safe than sorry. When planning your brand policy, you need to have ready tactics to void negative comments before they happen. There are some tips to identify and prevent rudeness. By answering potential dissatisfaction before customers express them, you can resolve an issue. Brands can assess the behavior of most likely complain offsite and onsite. With intelligent engagement, you can target those visitors in crisis. You can resolve their issues before they get upset and vent their frustrations. Consumers are talking about products in forums, social networks, blogs and review sites. You can pay more attention to their way of thinking. Implementing a robust social media tool that can track conversations happening in real-time would help. It understands the issues that lead to complaints. Having in mind consumers needs is key to engaging with them. Listening to their needs will put the necessary steps in place that leads to a change in the conversation. Furthermore, listening is a good indicator of brand health. In other words, not listening can be dangerous. You can miss out opportunities to build better customer relationships and new customers. However, no matter how much you try to void them, rude comments sometimes happen. In situations like this, it might come to anger. It is normal to feel angry when you have been mistreated or wronged, but it could become a problem if you don’t control it. The following steps may help you to deal with anger. First of them is to ask yourself what is behind that anger. Anger is often cover for other feelings. To express your anger in appropriate ways, try to get in touch with what you are really feeling. It could be either embarrassment, insecurity, hurt, shame, or vulnerability. The second step is being aware of danger signs. Anger is a normal physical response. Recognize physical signs in your body. For example, knots in your stomach, and clenching your hands or jaw. Some more are headaches, needing to walk around, pounding heart, tensing your shoulders. Once you know how to recognize the warning signs, you can act deal with your anger before it spins out of control. The third step is to learn ways to calm down. Some of them are taking deep breaths, exercise or stretch areas of tension. You could also count to ten or focus on the physical sensation of anger. Receiving no response or seeing their post deleted, will only further incite the customer. As unpleasant as handling an unhappy customer, ignoring the situation lead to even more unpleasant trouble. 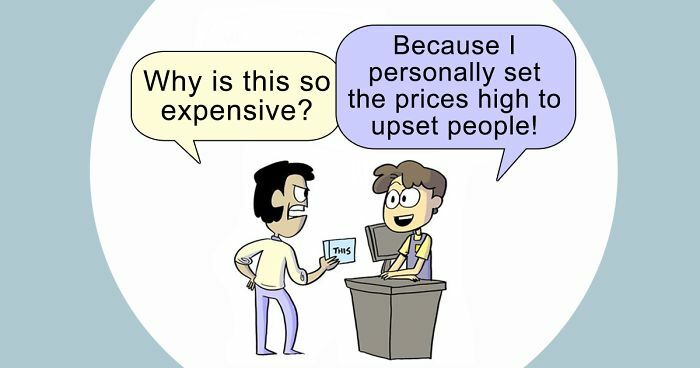 That is why you should know some strategies to deal with rude customers. Firstly, don’t internalize the disrespectful comments and criticisms. The majority of the time, rude customers don’t mean to directly attack you. They’re angry, and you’re the person who had the misfortune of speaking to them. Distance yourself from what they’re saying. Furthermore, recognize their irritation about a product malfunction. They are upset with the overall company. Even if you have done something remembers that everybody makes mistakes. Take their feedback but separate your personal self from your professional self. To better understanding a problem, try to put yourself in the same situation. Focusing on the perspective of another person helps you to stay clear-headed and lose any added emotion. Also, you can realize that they are not trying to be rude but that they have a problem. They are frustrated that they trusted your company and were let down. Empathy can help you relate to the customer and actually want to help them. The main point of apologizing is to show the customer that you do feel bad that they have had a negative experience. They should never have been put in a place of having to contact you at all. Respond with a creative apology, for example, a little gift of product. Before that, many public relations experts argued that excuse is the best option. Nowadays however it is not so. The pride of apology shows the weakness of the inside. An apology is only needed if the brand is guilty. Thus, be careful with your language. Try saying statements like, “I’m sorry that you’ve had a bad experience with this product.” rather than “I’m sorry that we did that.” You can sympathize with them without taking the blame. It is easy to lose sight of what the problem is when a customer is assaulting you. Instead of starting arguing, focus on what are they saying. Try to read between lines figure out what an actual problem is. Once you have figured out the actual problem, you can start solving it. If there’s one thing that can help calm down an exasperated customer, it’s you announcing that you’ve figured out a solution to their issue. It will help calm yourself if you focus on the task of problem-solving. All considered, it is important to give unsatisfied customer immediate access to someone who can resolve the issue. Access to customer service wherever the customer needs it such as in-store, on a website, on social and mobile is important. The way a brand deals with rude customers shows the community that it’s listening and reacting. It translates to good customer care. Finally, how a brand handles complaints can turn a negative to a positive. 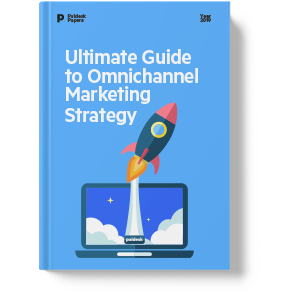 Create a great omnichannel marketing strategy!